By buying this product you can collect up to 110 loyalty points. Your cart will total 110 loyalty points that can be converted into a voucher of 33,00 €. A version of YEARLING WITH FLAKES offering support to the osteo-articular system of young horses. 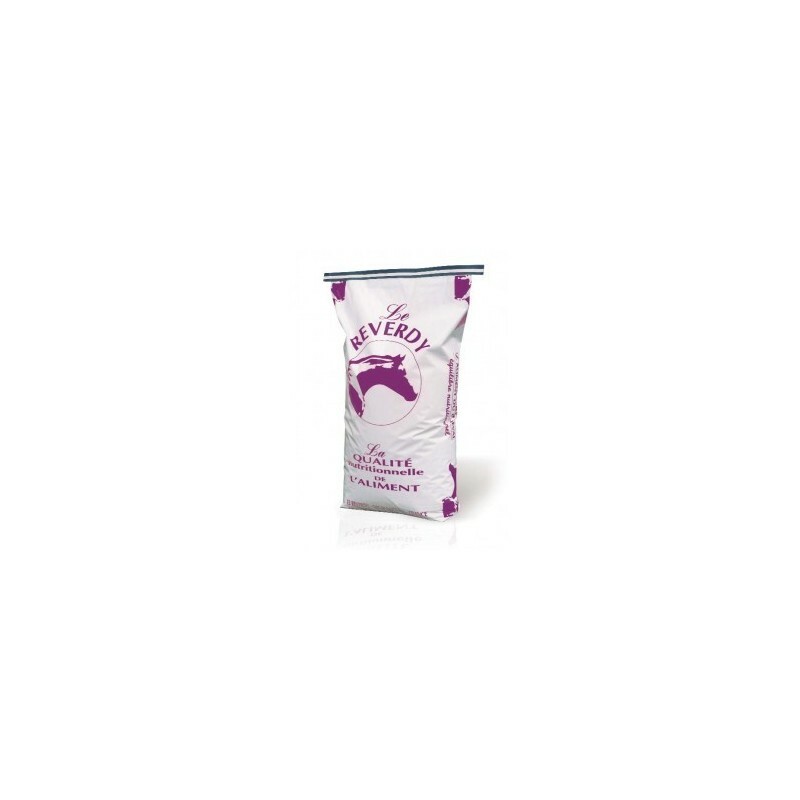 Optimum growth and development (quality protein, Omega 3s, reinforced levels of vitamins and trace elements). Barley, Flaked maize without gmo*, Alfalfa 17, Soya bean meal without gmo*, Oats, Maize without gmo*, Extruded linseed, Sepiolite, Dicalcium phosphate, Lithotamnion, Trace elements, vitamins, probiotics and chondroprotective agents. If YEARLING WITH FLAKES PLUS is fed at a lower level to that recommended, the supply of chondroprotective agents will not reach their minimum daily effective dose. 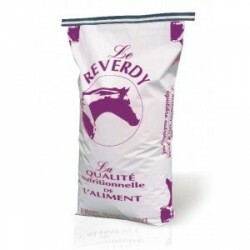 In this case it is preferable to feed YEARLING WITH FLAKES associated with a maintenance dose of REVERDY FLEXY. Broodmares: Feed a maximum of 4 litres per feed. Foals and youngstock: Feed a maximum of 2 litres per feed.